I read it over a number of months but was just as engaged every time I picked it up. Looking forward to learning more about men and shame. I wonder about cross cultural research. Esp in countries at different ends of Hofstede's continuums. 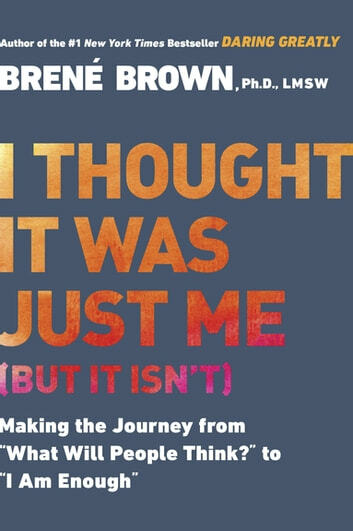 Will definitely read more from Brene Brown. I originally bought this ebook thinking it was about a different topic. This book is about shame. I had no idea what shame was, or how it deeply effects people daily. I learned a lot about what it is to feel shame, to cause shame to others, and how to be resilient against shame and to avoid shaming others. I think this is an important aspect to know when we look to connect with others, instead of trying to be better than others. Great, easy read. 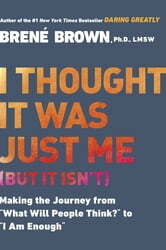 Many useful ideas and anecdotes that are applicable to situations anyone may encounter at any given time. I feel like I have more tools to be a better, more compassionate person after reading this book. Thank you Dr. Brown. Important and useful examination of developing resilience to shame. Highly recommended.